There’s a tragic and amusing story behind the title of Ernesto Sirolli’s book, Ripples from the Zambezi. As a young man, Sirolli worked with groups sent from Italy to Africa for “economic development.” As was the tradition (and unfortunately still is), one group went in search of problems to fix, in this case along the Zambezi River. They found that the locals had no agriculture, despite fertile soils, and determined to bless them by introducing Italian farming. A few days before harvest time, the Italians were quite proud of themselves. They had taught (or at least demonstrated) agriculture along the river, and saw an abundant crop in their future. 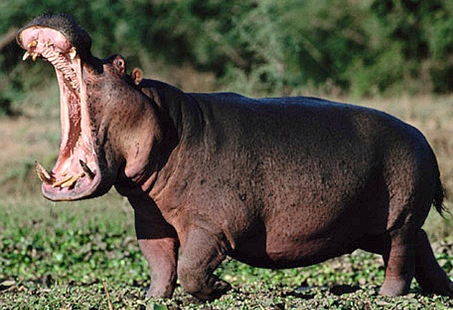 Unfortunately the local hippopotamus population saw the same thing. They came out of the river and ate the crop. Michael Matheson Miller covers the same topic from a different angle in the Poverty Cure series, where several businesses in struggling countries face competitive pressure from the “relief efforts” that flood their market with free goods. So, what is the solution? According to Sirolli, it is called “facilitation.” Instead of marching into a deprived area on a mission, his team now hangs out at the local coffee shop. There they learn what entrepreneurial initiatives already exist, and offer to support them. The locals, who are more clever than we give them credit for, then do the work with a little support, wisdom and encouragement. Here’s a small secret of business: You need a problem. To be more clear, somebody ELSE needs a problem, and the purpose of your business is to solve it. In that neighborhood, there was no problem to be solved. They already had a GOOD mowing solution, and it even happened to be free. A problem can be local, like a lack of decent Mexican restaurants in small-town, Kansas. 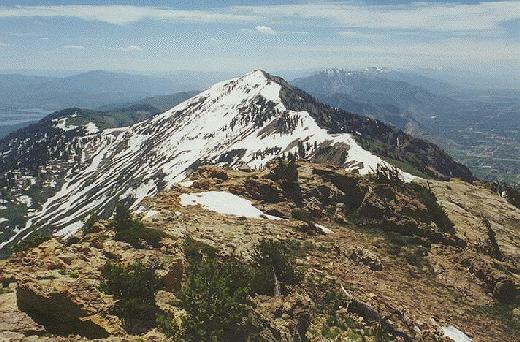 Or a problem can be much larger, like a lack organic wine grapes in Northern California. But if there is no need for a better (or first) Mexican restaurant, or no need for more grapes, there’s no reason to build a business that provides either of those things. Brewing beer or making pizza is a hobby, if it doesn’t solve a problem. If I start a brewery because I like to brew, but nobody has a lack of excellent beer, it won’t be much of a business. Fortunately, there are plenty of problems to be solved, needs to fill and variations of existing solutions to invent. For every one neighborhood that doesn’t need a better lawn service, there are 10 others that do. My first reaction was to appreciate the good accounts, but spend most of my time “fixing” the bad ones. That was a bad plan. 1. It assumes the “Top 20” are already having all their needs met, and won’t generate more business. 2. It assumes that there are no other customers available in the world. Both assumptions are obviously silly. But strangely, sales people (and small business owners who are by default sales people) make my mistake all the time! 2. How do I rock their world with remarkable service and products that solve problems? 3. Where can I find 80 more like them? Note that spending more time on the “Top 20” means taking attention from somewhere else. Take that time away from the bottom 20%, the grumpy ones that don’t buy much anyway. What would happen if your worst customers stopped buying? Very little. Please consider this permission to ignore them. Side Note: The idea of the 20% assumes that a small farm or business has multiple customers. That’s on purpose! Selling to a single customer, or selling at an auction where Mr. Market dictates the price, is scary business. Finding multiple customers is the only way to run a stable business. The Finest Burger in the World? If you visit Queenstown, the self-proclaimed Outdoor Adventure Capital of New Zealand’s South Island, it won’t be long before a local or fellow visitor suggests that you eat at Fergburger. 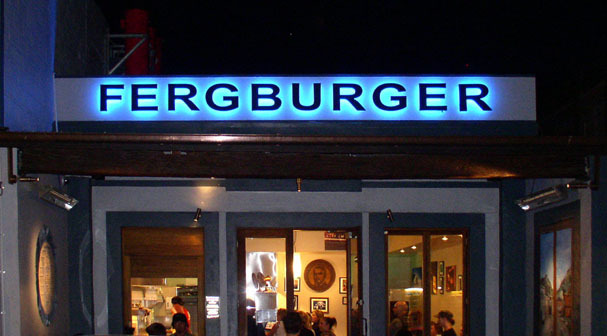 The person recommending the establishment will likely include the fact that Fergburger claims to serve the world’s finest hamburger, and the recommender will likely submit his or her opinion as to whether or not the claim is true: “yes they do,” or “no they do not” actually serve the world’s finest hamburger. In my experience, there is no correlation between the likelihood of the dinner recommendation and the recommender’s personal opinion of the quality of the burger; lovers and haters will both point you in the right direction to try it for yourself. Queenstown attracts 1.9 million visitors per year for skiing, biking and hiking in the mountains surrounding a giant, beautiful lake. That’s not bad for a city of 16,000 people. And most of the visitors seem to visit Fergburger. Needless to say, the city and the burger place do very well for themselves. 1. Location. Fergburger is in a fabulous location in a fabulous town. And why not? If I were to start a burger joint, (or berry farm, or brew pub or equestrian center), shouldn’t I put it where the people are? With 1.9 million tourists, its likely Fergburger would get some guests by pure chance. And they increased the odds by setting up shop at the bottom of the gondola leading to Ben Lomond, Queenstown’s most significant hiking, skiing and biking trail. 2. Basics. Fergburger has a great staff, great ingredients and a classy interior. They get you in and out in a hurry. The restrooms are clean and the cook is smiling. No failures on the basics inhibit the experience. 3. Focus. The moment Fergburger claims to have the world’s finest burger, something happens. Hint: This is often what makes the difference between a good company and an extraordinary one. Suddenly the staff has a focus. The guests have a reason to visit. The owners know where to invest. “Do we spend money experimenting with new salads, or displaying modern art on the walls? NO! We make the world’s finest burger!” And the only purpose of the restaurant is to connect the world with that magnificent fact. Now for the burning question: Does Fergburger actually serve the finest burger in the world? That is a very personal matter, really. In this humble farmer’s opinion, after scaling Ben Lomond to 5,300 ft. and landing back down at Ferg’s front door, the answer was definitely yes. I met with a discouraged farmer recently. Let’s call him Farmer Jones. In summary, Farmer Jones was concerned that “there ain’t no money in farming!” We talked about options for increasing margins and decreasing risk (both good topics for another day), and then I left him leaning on his pick-up truck, pondering the impact of increasing feed prices on his bottom line. As I got home, a thought struck me. One simple change would have re-written the financial fate of the Jones Farm, and we were leaning on it the whole time: The freshly-financed 2014 Ford F250 Lariat Diesel 4×4 pick-up truck. A quick search found an identical truck at a local dealer for $73,526 (See burgundy truck below.) Farmer Jones had financed the truck, but let’s give him the benefit of buying it outright, for the sake of a simple calculation. 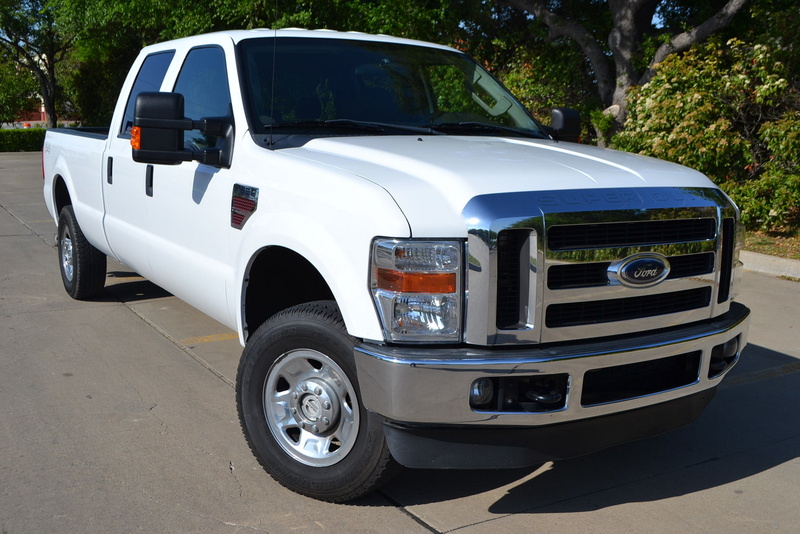 The same dealer listed a nearly identical 2009 version of the truck (without the fancy Lariat leather seats), showing 50,000 miles on the odometer (See white truck below.) The price was $24,324, for a difference of roughly $49,000 between the 2014 and the 2009 with fewer options. Let’s imagine now that Farmer Jones had been in the habit of buying the 5-year-old truck for his entire career, starting at age 25. He had replaced it after 5 years each time, with another 5-year-old truck. Again, using rustic math, we divide the $49,000 difference in price by the 5 years of use, and find that he saved about $10,000 per year. A sum of $10,000 per year, invested at 10% for 40 years, results in $4,425,925. Yes, that’s 4 million, thanks to the power of accumulated interest. And if that money were re-invested into a well-managed farm, the return would be similar.